I hate to start off by making apologies...so I won't. However there is a big OOF green blob on the left that is an OOF pine needle but my attention was focused on the flys head. 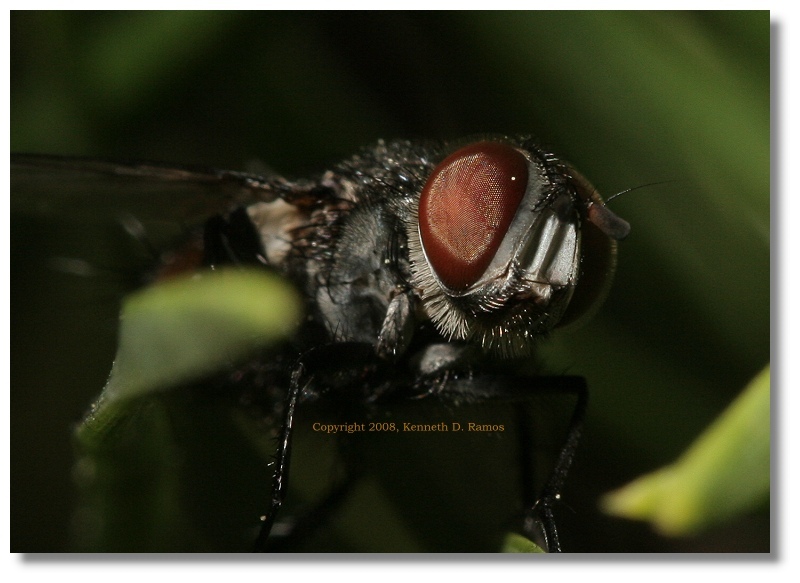 That fly has an old gray beard like mine . Great picture Ken. Let me say here I love your pictures over in the micro forum also. Great work. Just wish I had noticed that pine needle sticking out there before I took the shot but then again selecting another angle may have been better or maybe worse, dunno.